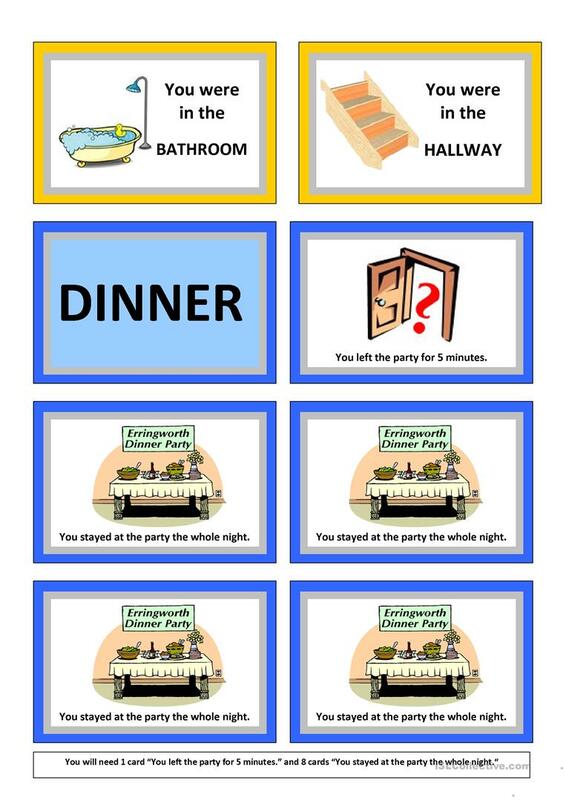 This is a fun speaking activity for your pre-intermediate to advanced students. 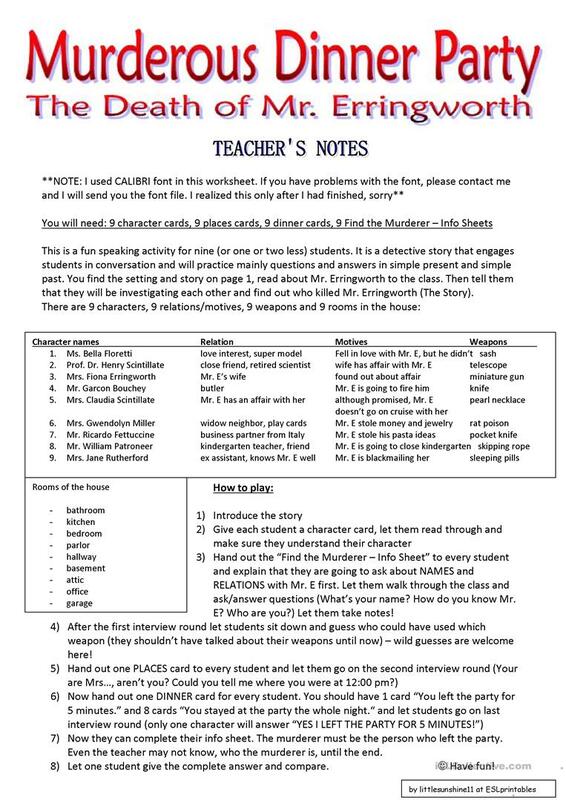 It is a detective story that engages students in conversation and will practice mainly questions and answers in simple present and simple past. 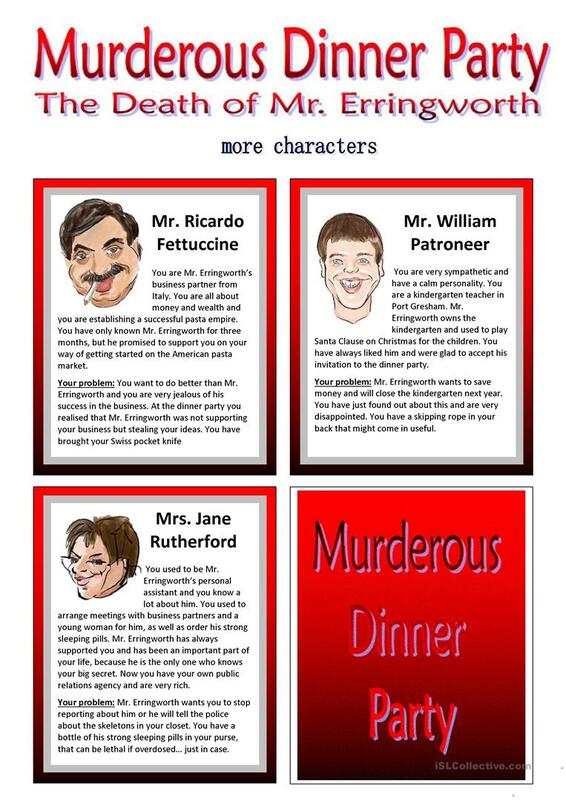 **** You were invited to Mr Erringworth’s dinner party in his mansion. 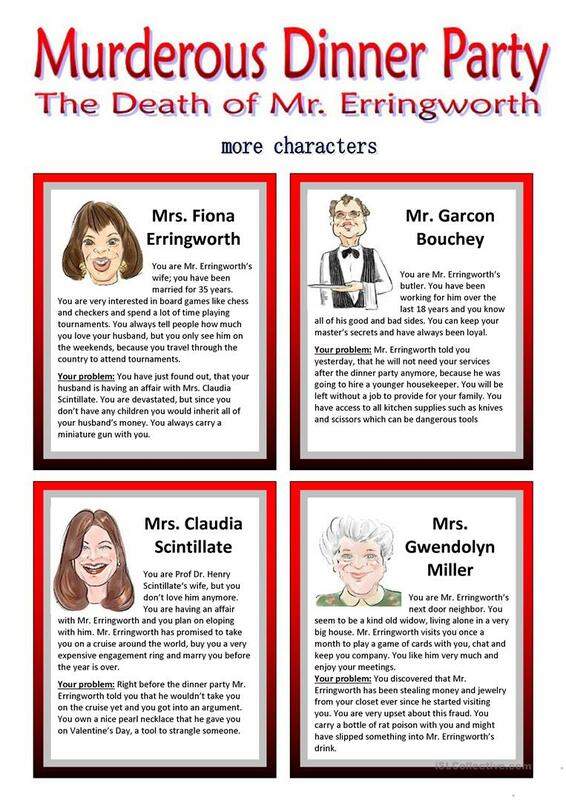 You will meet 9 people there, all of whom have some kind of relation with Mr Erringworth. Shortly after midnight, the host is found dead. 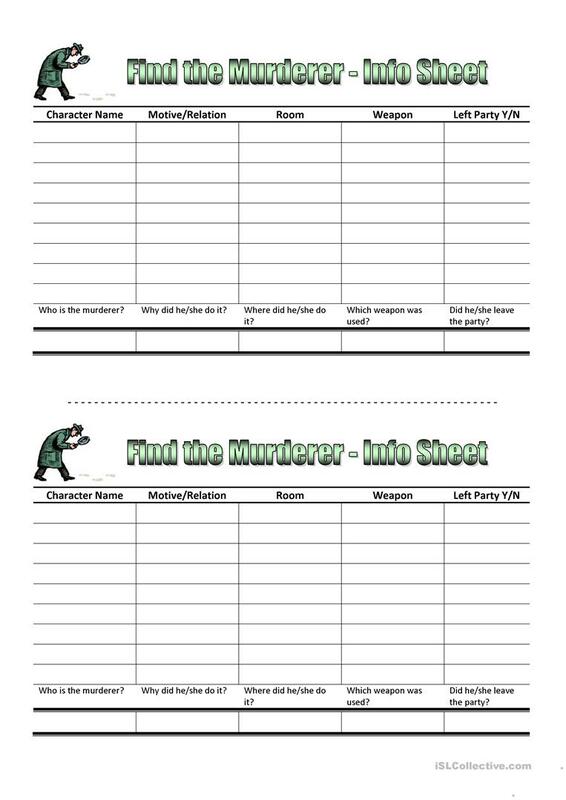 It will be your task to interview all nine suspects and find the murderer. As the evening progresses you will get more information about the people and more details will be revealed. 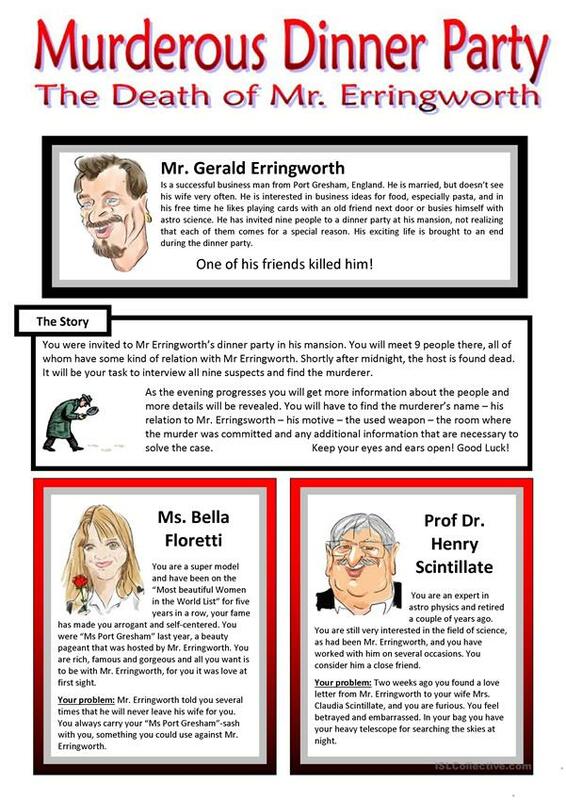 You will have to find the murderer’s name – his relation to Mr. Erringsworth – his motive – the used weapon – the room where the murder was committed and any additional information that are necessary to solve the case. **** 7 PAGES INCLUDING TEACHER´S NOTES *** Hope you like it. Please contact me with problems of any kind. The above printable, downloadable handout is a great resource for business/professional students and high school students at Pre-intermediate (A2), Intermediate (B1), Upper-intermediate (B2), Advanced (C1) and Proficient (C2) level. 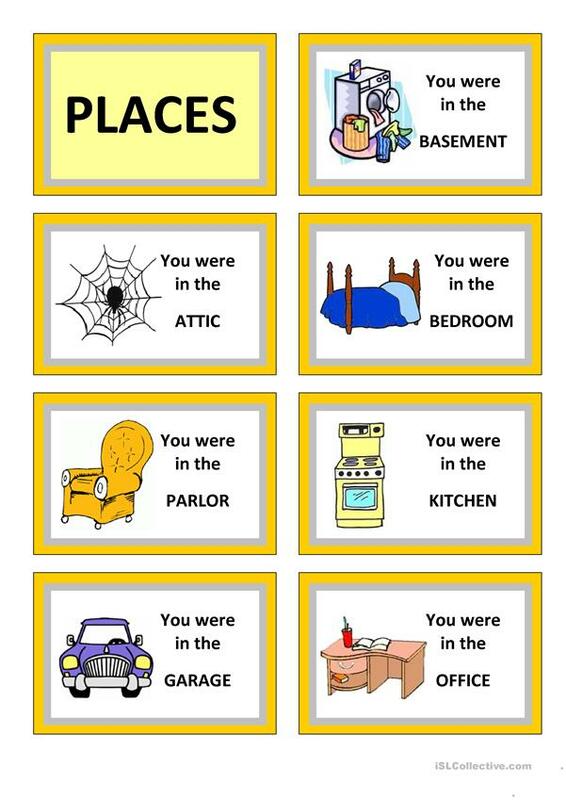 It can be used for improving your class' Speaking and Reading skills. It focuses on the theme of People. The exercises come with a key.